retreat in your own chalet with views of the lake below. If you want to enjoy stunning lake views from the privacy and comfort of your own little “home” you will enjoy a chalet experience. Your complimentary breakfast is delivered daily to your room. You have easy access to the pool and hot-tub. Each of our studio rooms has its own access with a large double bed and its own modern ensuite bathroom. 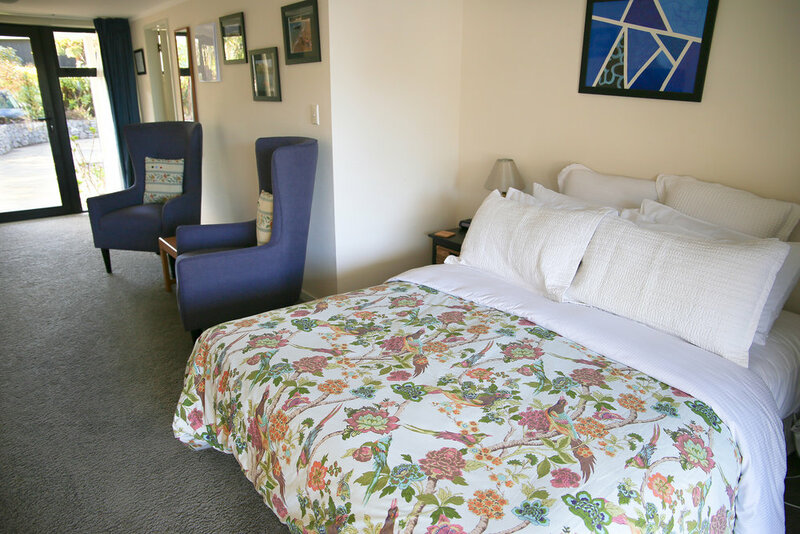 Kereru studio room has the option of two single beds if required. 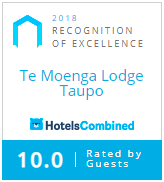 Te Moenga Lodge is a special place to stay located high above Acacia Bay, Lake Taupo. 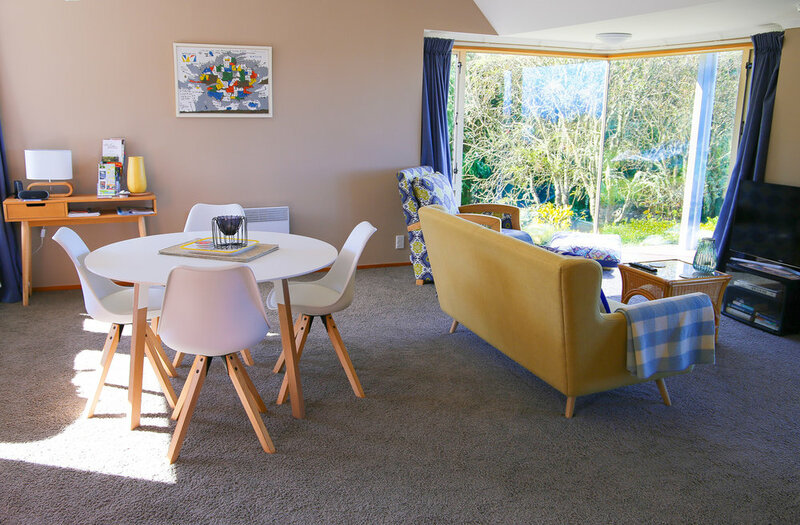 Following extensive renovations, the lodge offers guests a peaceful place to relax and enjoy the incredible Lake Taupo region. From hiking the Tongariro Crossing, visiting the iconic Maori Carvings or biking the trails nearby, there are plenty of activities on offer. If relaxing is more your style you can enjoy a soak in a natural thermal pool, a quick visit to Huka Falls or maybe a stroll along our beautiful lake front. The options are endless and right here on our doorstep. 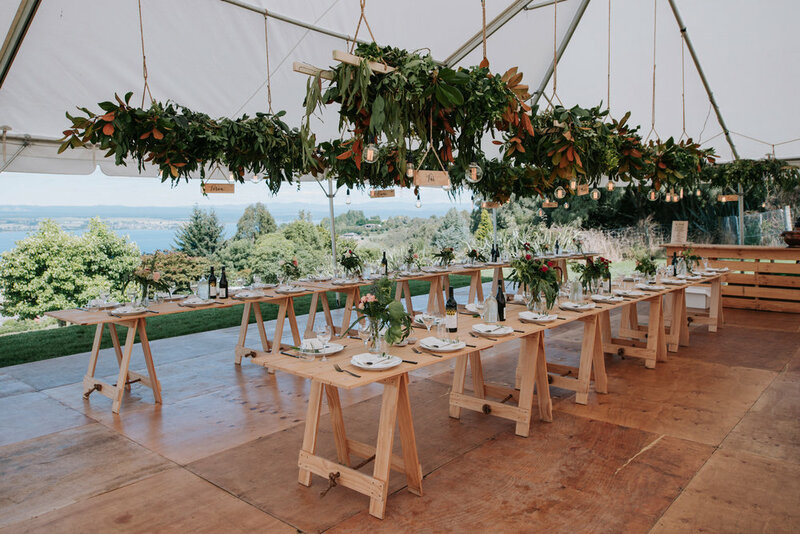 Te Moenga Lodge could be the place you choose to celebrate a wedding your friends and family will remember. 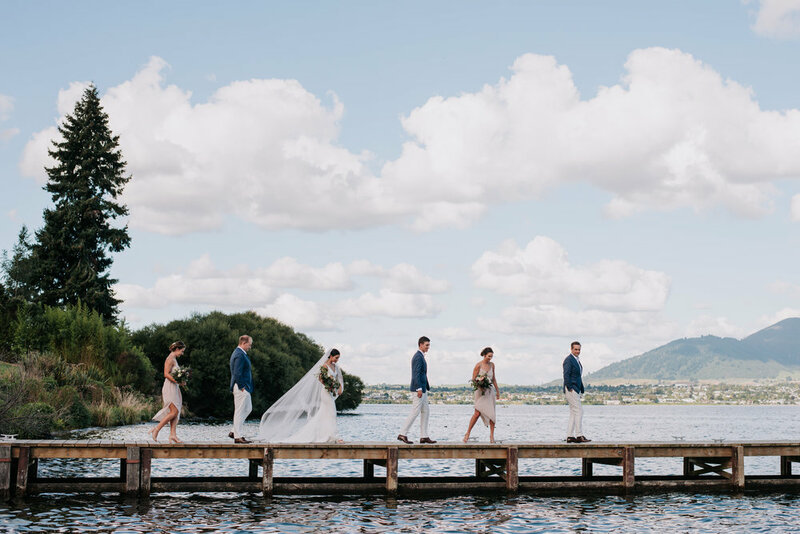 The idyllic setting with charming garden and stunning lake views is the perfect location for sharing your special day with your friends and family. Experience our part of New Zealand. If you’d rather stay closer and explore our Great Lake Area we are happy to help you with any ideas. From a relaxing soak in a natural thermal pool, a visit to Huka Falls or a cruise on the lake at sunset to an adrenaline filled day bungy jumping or skydving high above the lake- it’s all here for you to experience. We want our guests to feel like Te Moenga Lodge is a home away from home and the views really are something to behold. 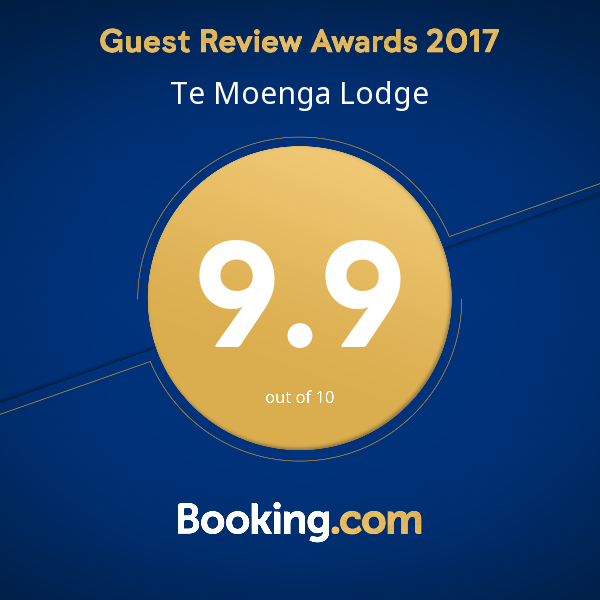 So, whether you’re looking to unwind for the weekend or seeking adventure with the family, Te Moenga Lodge is a fine choice. We welcome you to our home.